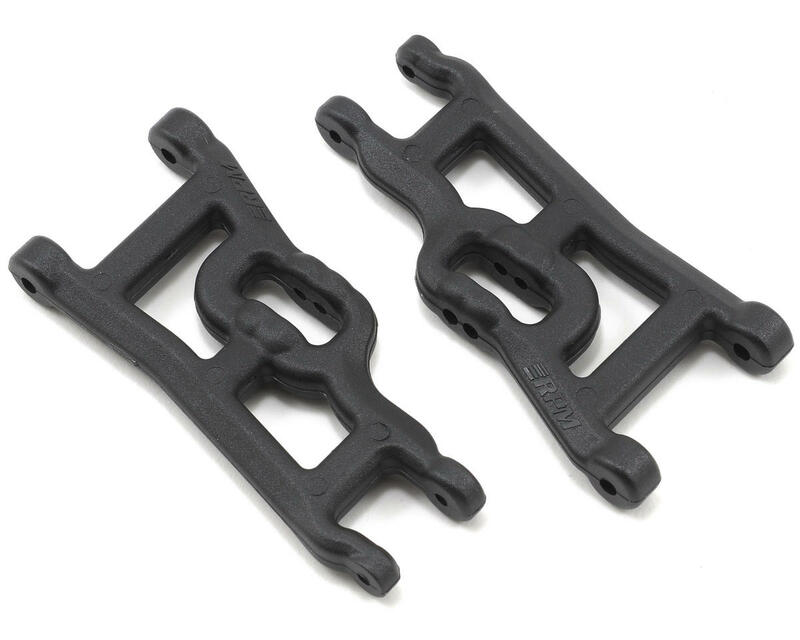 This is an optional RPM Front A-Arm Set, for the Traxxas Slash 2wd, Nitro Slash, e-Rustler & e-Stampede 2wd. These arms are built to withstand abuse. Plus, they shave some unwanted unsprung weight as well! RPM Front A-arms are nearly 25% lighter than stock versions of the same A-arms, and are backed by RPM's world-renowned breakage warranty. Additionally, RPM has increased clearance areas in the outer portion of the A-arms to allow increased droop travel when used in conjunction with RPM oversized bearing carriers (RPM80372 & RPM80382). RPM front A-arms for the Electric versions of the Traxxas Slash, Rustler & Stampede are sold in pairs and are available in black, green, blue and red. 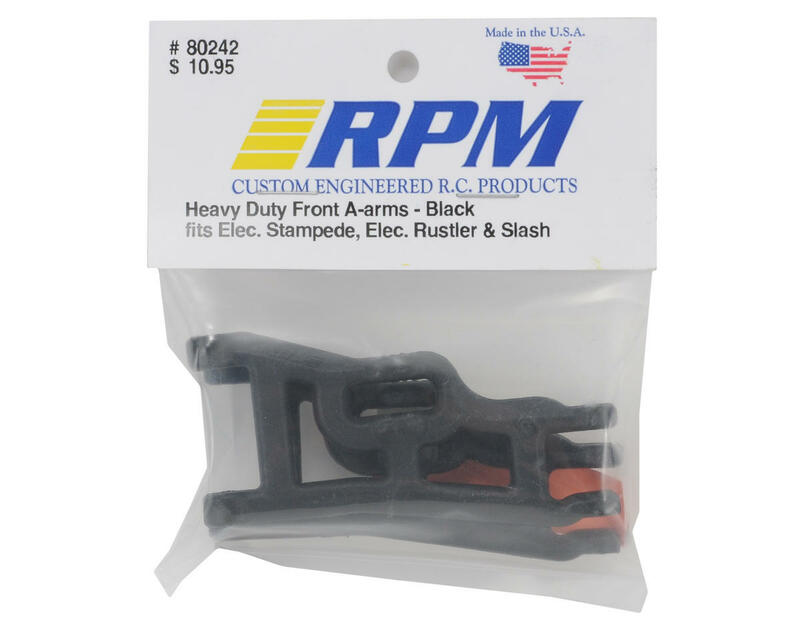 These A-arms are molded with what is fast becoming an RPM trademark design of angled leading and trailing edges to reduce frontal edge mass and improve the a-arm’s ability to ride up and over tall obstacles instead of slamming into them. RPM A-arms are extremely rigid for superior ride and stability over the roughest tracks and terrain. Ok here is the truth: RPM Front A-arms are the perfect combination of strength and durability, with just a touch of flexibility to save you when all other parts would have exploded like a parked smart car vs. a speeding 80,000lbs. semi truck. Yes they can break, but in a hammer like way: well used or a completely random fluke. I've never had any issues and they fit better then Mechanics Gloves. Take it from someone who bashes his over-weight, over-powered slash almost daily.